Hotel Sonar Haveli is ideally located on Jaipur-Agra highway (NH-11) away from the hustle bustle of the city in a serene atmosphere just 5 minutes walking distance from entrance to the Keoladeo National Park. 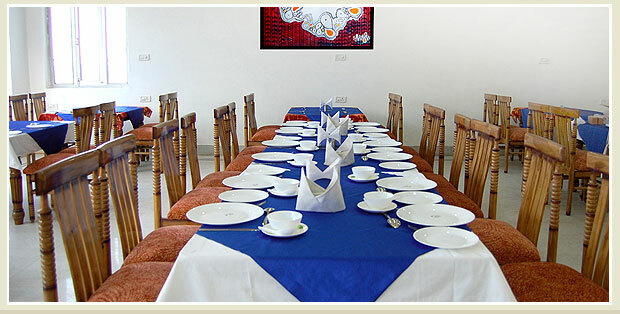 The hotel's facilities include a multi-cuisine restaurant . The hotel is also an ideal place for meetings, seminars and functions with one banquet hall which can accommodate up to 100 guests. Agra Airport is about 55 kms. from the hotel, whereas Bharatpur Railway Station is just about 5 kms away. Room Service, Restaurant, Laundry Facilities, Travel Counter, Gardens, Express Check-In/Check-Out, Complimentary Newspapers in Lobby, Parking, Family/Child Friendly, Internet/Wi-Fi. Safe Deposit Locker Facility, Complimentary Newspaper, Cable/Satellite TV, Child Care, Air Conditioning Room, H/C Water, Internet Access, Complimentary Toiletries, House Keeping, Desk. User reviews for "Sonar Haveli Hotel Bharatpur"